Nov 18 I'm Saving Money on Household Items & You Can Too!! Well... (as you know :)) when I try something I love I always HAVE to share it with y'all! 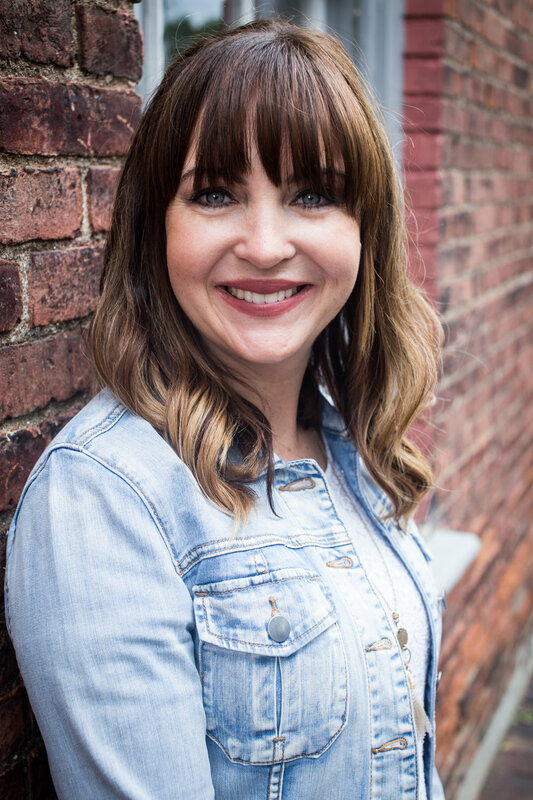 Recently I was asked by ePantry to try out their service and share my experience with my readers! I already love online shopping and of course I love to get a deal so this seemed like the perfect fit for me! I went online, signed up and within a few days received my box of items. It was so simple, convenient and the best part???... I LOVE all of the products I received. A few of them I already use in my home, but even those products are offered at a discount through ePantry. 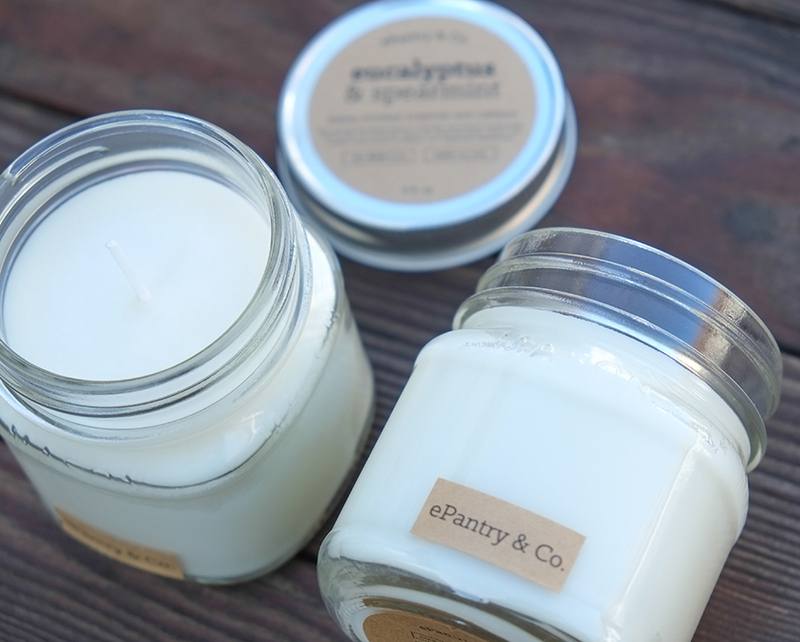 My three very favorite products I ordered were the Meyer's hand soap, dishwasher pods and the ePantry soy candle in pear (LOVED this candle!!). ePantry is an online subscription site offering mostly all-natural household products (such as Mrs. Meyers), where you get to choose what you want. ePantry was started by 3 friends in San Francisco and grew out of a simple realization: there are products/brands that we trust, love and want to use every day, but choose not to, based solely on convenience and what’s available to us at a given time. Answer some simple questions specific to your family. Choose items for your box -- ePantry will make suggestions for you. You can accept them or not. Totally up to you! In a few days, your box of goodies will arrive in the mail! Just so you know-->>> You can edit what's in your box, pause your subscription, or cancel your subscription at any time. The products they suggest are by no means the only products you can select, but more of a starting point. You can choose whichever products you like. We know that you consume different products at different rates, for example, a family of 5 doesn’t go through a bottle of glass cleaner at the same rate they do a 6 pack of paper towels and that’s reflected in the delivery schedule they recommend to you (I LOVE this feature!). So the quantities and suggested delivery months are only suggestions and are fully flexible around you. That way you have them when you need them. Super simple! And.... ePantry is offering The Better Mom readers a deal!!!! Spend just $20 and you get: $10 FREE Credit and FREE shipping on your first order. Just click below to get started! Disclosure: The links in this post are referral links. See full disclosure here. 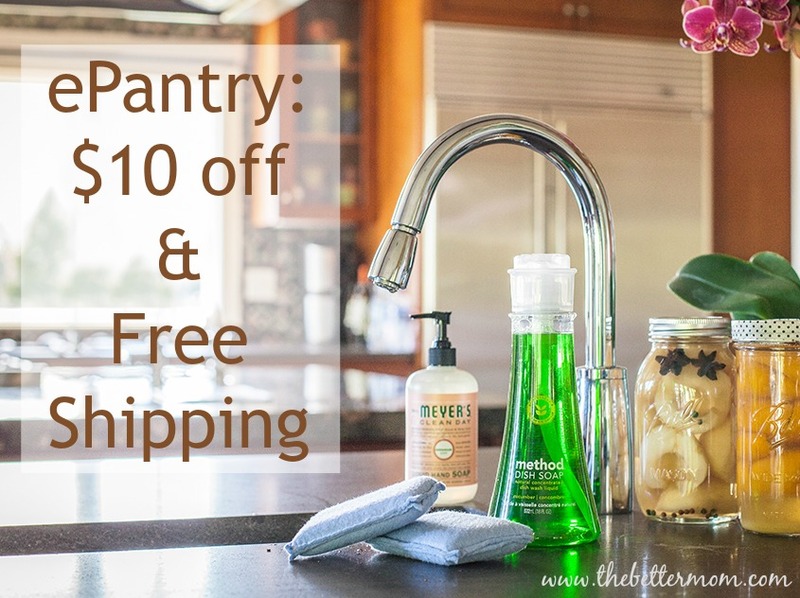 Jun 15 FREE Mrs. Meyer's Hand Soap, $10 off and FREE Shipping at ePantry.com!